Nice! I love fine glitters! Very awesome and pretty too! OH AND I LOVE THE LABEL ON THE BOTTLE, ZOMG!!! 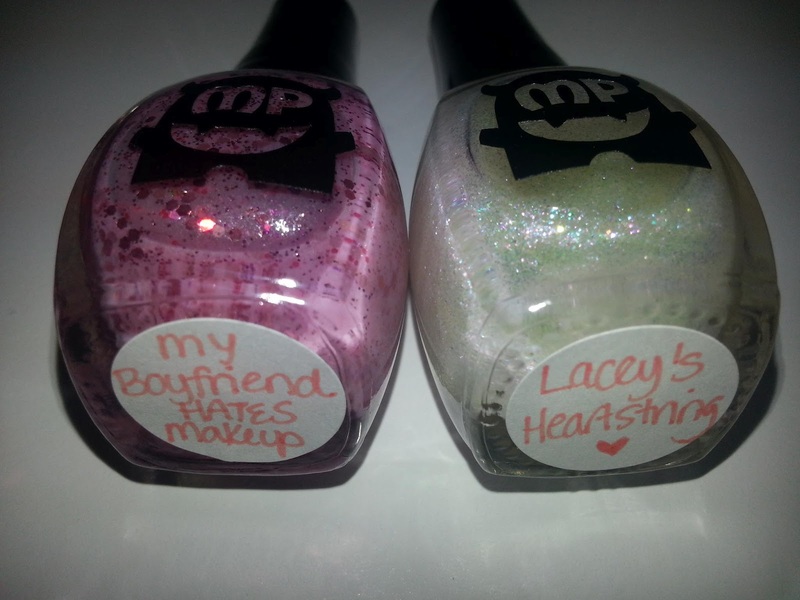 It's by Monster Polish - her site is www.polishmonster.com or www.facebook.com/polishmonster :) Tell her I sent ya! Umm.. I love love love the pink polish!!!!!! So beautiful!